Life is full of possibilities—opportunities denied those deemed unfit for life in space. The unintelligent, the diseased, the mentally unstable, and the criminal—all who have been rejected by the Space Service—are condemned to live their lives on dirt, a planet everyone knows but no one mentions. 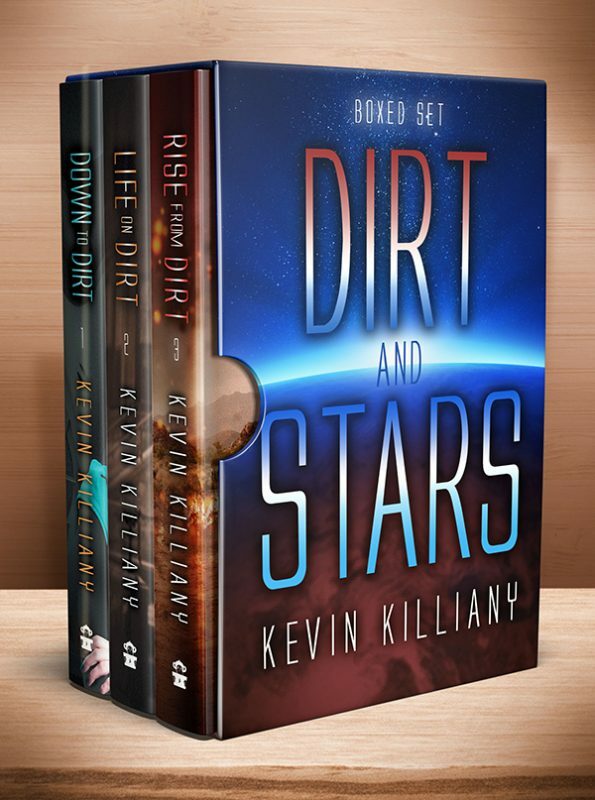 3 extraordinary books in one boxed set. This young adult science fiction adventure is perfect for readers 13 and older. 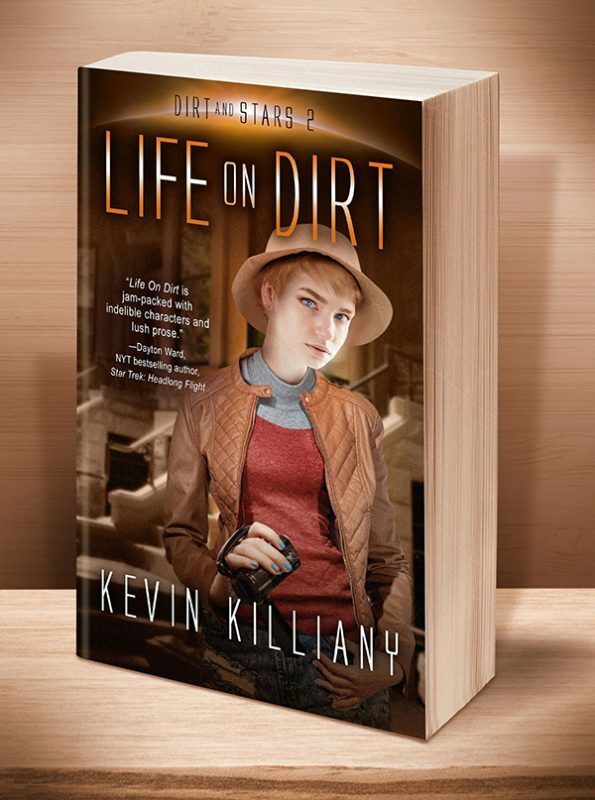 Click the BookBub button to keep informed of special deals on this book and others by Kevin Killiany. Just FOLLOW him on BookBub, and be sure to BOOKMARK his books as “Wanted (Deal Alert)”–that way you won’t miss out. Humankind has stations in space, cities on the moon, and colonies on Mars. In humanity’s shadow lies dirt, prison of the unfit—the sick, insane, or criminal—all desperate to escape. Sixteen-year-old Mara Duval, born and raised on Tombaugh Station, is training for the first mission to Jupiter. But before she can embrace her future, she must confront her family’s failures. Mara must go down to dirt. Seventeen-year-old Mara Duval, born in space, was destined to be part of humanity’s first mission to the moons of Jupiter, until a medical accident left her quarantined on dirt forever. 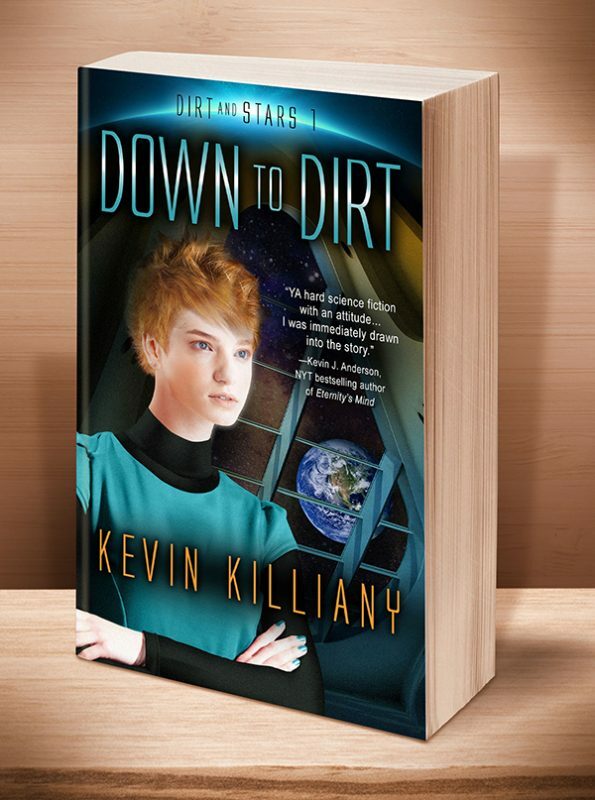 But dirt is not the blighted wasteland she’d been taught it was, and the Space Service is holding humanity’s future hostage behind a wall of lies. Mara discovered the Space Service’s stranglehold on access to space is built on lies. For this crime, she was “disappeared” without warning. Jael has always known her future lies among the stars, but the contest will be rigged against all minority challengers. 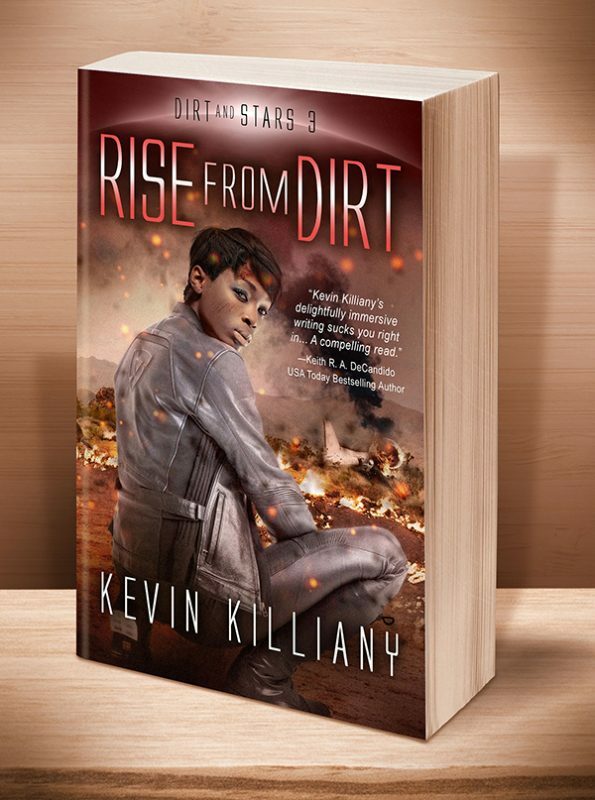 Jael’s willing to risk everything to prove the best will always rise from dirt. This entry was posted	on Monday, April 30th, 2018 at 11:40 am	and is filed under . You can follow any responses to this entry through the RSS 2.0 feed. Both comments and pings are currently closed.